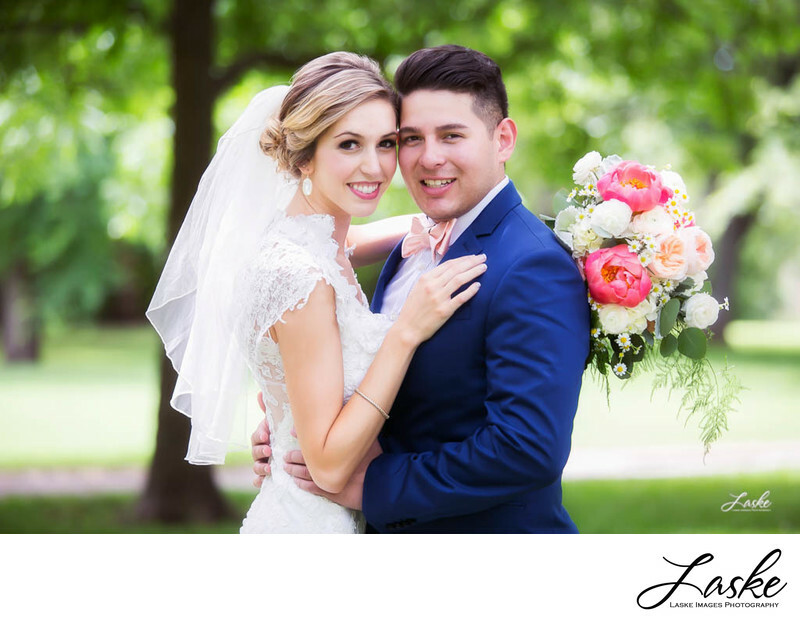 You have spent this time and money investing into how you will look on your big day from the venues you select, the dress and tuxes to wear, the makeup to look your best, plus many other details; it is only natural to want to look and feel your best in your portraits. This is a once and a lifetime event, and you want to look and feel your best! Weddings, in general, will have circumstances where your hair and make up may smudge from event to event or perhaps, like this hot Oklahoma day at the Horn Homestead (located right by the Oklahoma State Capitol), you may sweat or get wet later in the day. Amanda had taken the opportunity to grab this image of the bride and groom right after their first look which commonly takes place before the ceremony. What are some of the benefits of doing your wedding portraits before the wedding ceremony? *Less stress means happier wedding couple! If you are interested in this, you may want to fit this hour or so into your schedule of the day. Even though this option is not traditional, it is still a great way to make sure these key moments are canvas-worthy! Discuss this with your photographer when talking about your plans!